Note: The Elder Scrolls, Morrowind, and all portrayed items, personalities, and inspiration are the property of Bethesda Games/A Zenimax Company, intellectual and creative. Personalities, lands, or domiciles recreated from mods are the creative property of their various authors, who I have the utmost respect and admiration for. Bringing these creations to tactile form would not have been possible without the inspiration of those that created them digitally first. 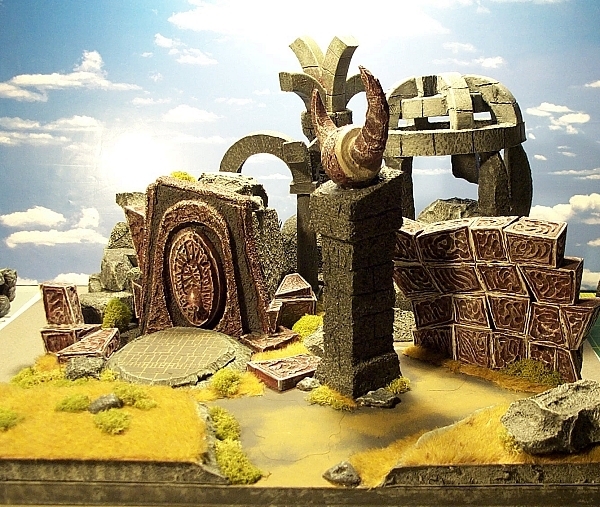 Welcome to my site offering a selection of dioramas and custom action figures inspired by Bethesda's wonderful games, The Elder Scrolls Series, specifically Morrowind. Here I tried in my humble artistic way to flesh out the various peoples and domiciles that I enjoyed when playing Morrowind. A little about the hobby and the scales. 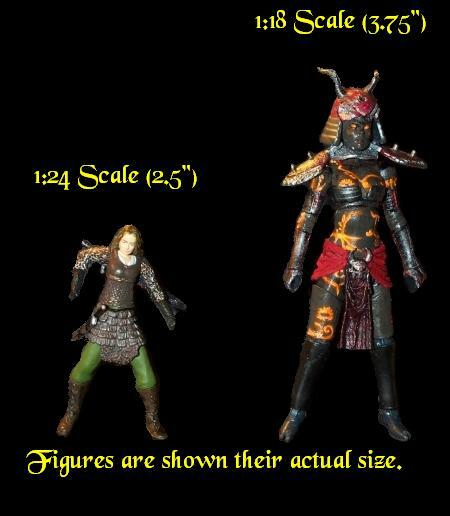 When creating dioramas and terrain, I used to enjoy many different scales, from 1 inch metal fantasy gaming figures (and their plastic Historical equivalents in HO/25mm/1:72 scale), and the much larger 1:18 scale, ranging between 3 3/4 to 4 inches. The 1:18 scale, affectionately known to many of us as 'Joe Scale', due to the customization of the Hasbro Real American Hero line of G.I.Joe figures, is the scale that I had a greater history and enjoyment with. Though I can no longer effectively see and enjoy the 1 inch figures, I have stepped up to what I can see, which are 1:24 scale (approximately 2 1/2 to 3 inches), and the 1:18 scale that I am used to. So when you see these pieces, I will be using those two terms to give you an idea of which scale figures are being used and how large they are. Morrowind was the game that I had always wanted and waited for. While not a "gamer" by any stretch of the imagination or term, I did enjoy fantasy and role playing games where I, as the character, was immersed into an exciting game world. Sadly, many games were and are linear. They have a beginning, and they end with rolling credits. Morrowind came along and purported a truly, "open ended" gaming experience, and they lived up to that tremendously. 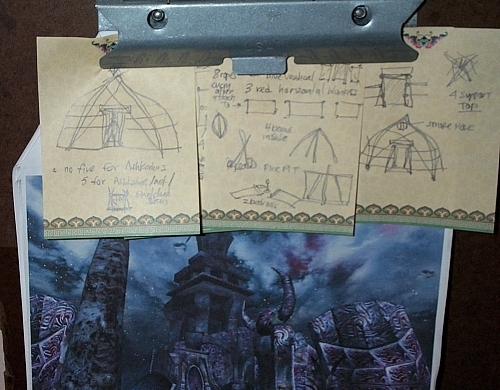 That the game came with a Construction Set where customizing and modding was encouraged, opened countless avenues for creative adventure and like Prometheus and fire, it changed the Morrowind world. I'm a toy person. What that means in a creative sense is that I appreciate the Art of the Toy. From design stages, to sculpting, to articulation, and eventually, play. Like those that collect and enjoy coins, stamps, gems, or other paraphernalia, the hobby of Toy collecting and appreciation is no different, save for one facet...customization and creation. 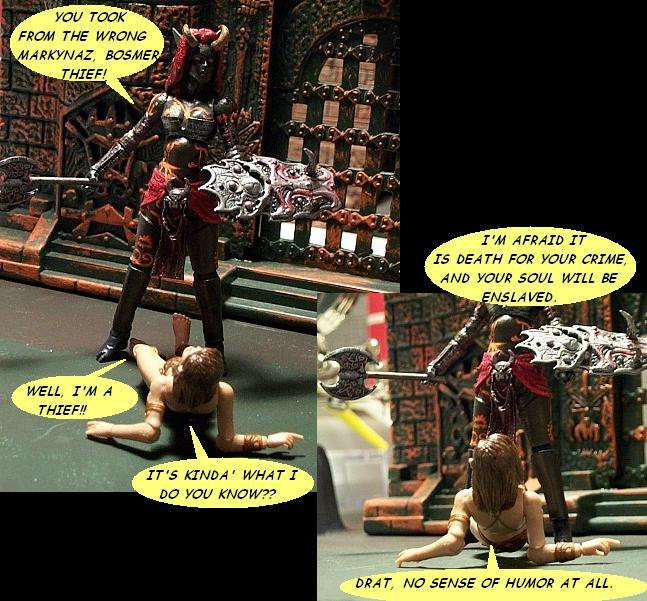 Many of us have taken the love of the toy and the newer nomenclature of "action figure", and redefined it as its own art form. Creative people everywhere will design, cast, sculpt, or more commonly "repurpose" (another new term used in our hobby) an existing toy figure because it possesses the raw foundation that we see can be changed into either something we want that never existed, or something better suited to our vision of what the toy could have been. The Elders Scrolls is a gaming universe that is so ripe with creativity and imaginative inspiration, that it is a shame really that unlike most game genres and universes, it never benefited from its own franchising line or toy line. Nearly all others from Everquest to HALO have some sort of tactile representation that extends the gaming experience to another play level entirely. What I try to do with my humble offerings is show that their world is just as inspiring in a tactile sense as it is in a digital sense. I thank you for visiting my website and hope you enjoy what is shown. Sometimes, some of us flesh out our respective figures and universes to create the "photo novel", also known as a "diostory". What that entails is using sets, lighting, special effects, and the figures, to tell a story in a series of consecutive action sequences. Much like a comic book or graphic novel, but the items in the panels are tactile. Here is a snapshot of my large art clipboard where I keep the notes, scribblings, and other necessary images to help me create the dioramas or personalities from the game. I hope that you enjoy these humble offerings as much as I enjoyed bringing them to tactile reality.